Non-Smoker vehicle, Excellent Condition. 3rd Row Seat, DVD, Heated Leather Seats, Satellite Radio, Quad Seats, Multi-CD Changer, Rear Air, Alloy Wheels, ENGINE, 3.6L VARIABLE VALVE TIMING V6. ENTERTAINMENT SYSTEM, REAR SEAT DVD PLAYER with remote control, overhead display, 2 sets of 2-channel wireless infrared headphones and auxiliary audio/video input jacks, CONVENIENCE PACKAGE includes (AP3) Remote start, keyless entry and (UD7) Ultrasonic rear parking assist, BODY, POWER REAR LIFTGATE, TRANSMISSION, 6-SPEED AUTOMATIC, ELECTRONICALLY CONTROLLED with overdrive (STD), 3.6L VARIABLE VALVE TIMING V6 MPFI (275 hp [205.1 kW] @ 6600 rpm, 251 lb-ft of torque [338.9 N-m] @ 3200 rpm) (STD). .
"With ample room for up to eight passengers, a comfortable ride, respectable performance and decent fuel economy, the GMC Acadia ranks as one of the best family-oriented crossovers available." -Edmunds.com. IIHS Top Safety Pick. 5 Star Driver Front Crash Rating. 5 Star Driver Side Crash Rating. Hello, I would like more information about the 2008 GMC Acadia, stock# HC8473A. 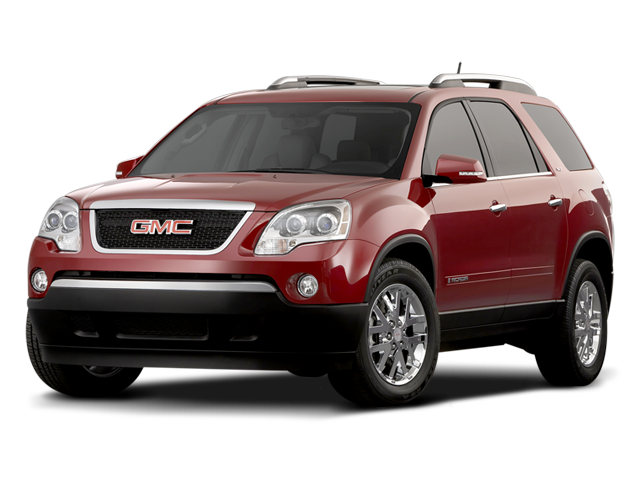 Hello, I would like to see more pictures of the 2008 GMC Acadia, stock# HC8473A.